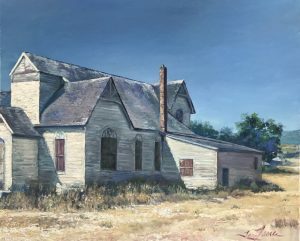 24″x 20″ oil on canvas This old farm house was abandoned and left on the forgotten plains of Oklahoma. There was a certain beauty in the color and texture of the faded painted wood. 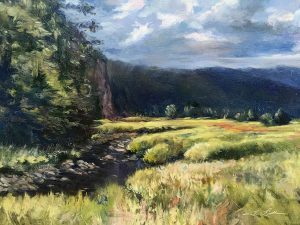 14″ x 11″ oil on panel British Columbia is the westernmost province of Canada and a component of the Pacific Northwest. 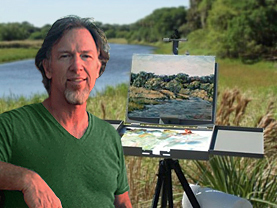 Because of milder weather near the coast and in the southern valleys, it offer a variety of beautiful spots to paint. 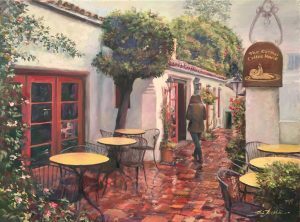 24″x 18″ oil on canvas This Carmel Coffee shop is located in north California, the Big Sur region. It is one of my favorite subjects and this was such a rainy, relaxing day.